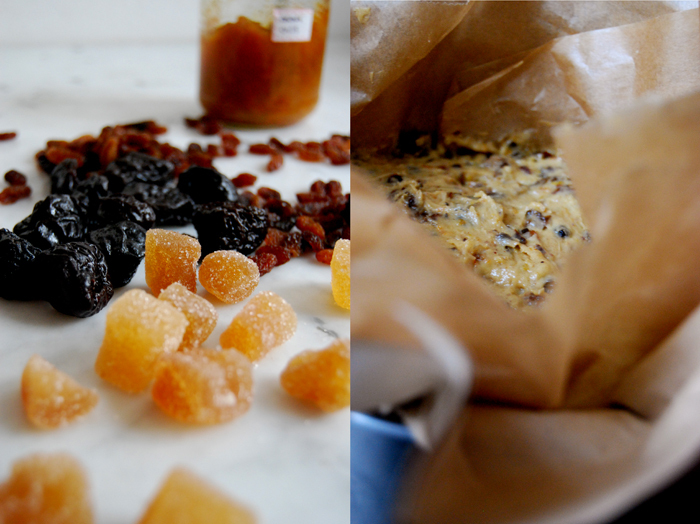 I love fruit cakes – all year round. Every day in the afternoon, I have my cup of tea and I need something to nibble with it. Cookies are great but fruit cakes are richer. Quite often I bake my Irish tea brack (a butter free fruit cake) with ginger and orange but at Christmas time I follow the English tradition. 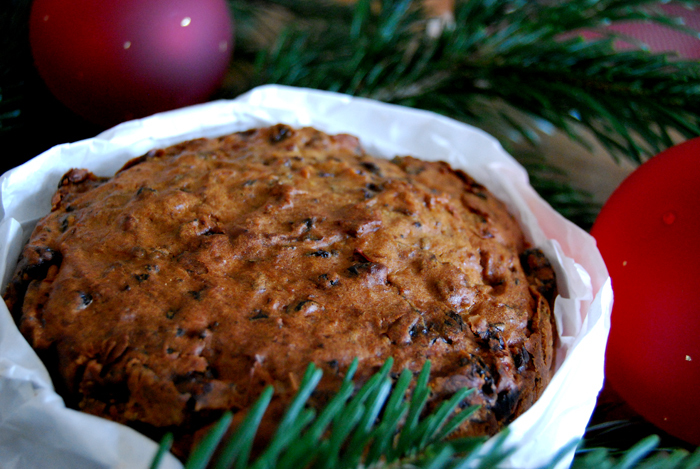 English Christmas cake is a very dense and rich fruit cake which has to sit for a few weeks. During this time it is your job to take care that the cake can soak some brandy and get drunk. Therefore, you brush its top with liquor once a week and then you wrap it up again. It is a bit like a plant that you have to look after. But your effort will be rewarded. You have taken real care of this special cake and that makes it taste even better. My Christmas cake lets the spices come through quite strongly and I also add stem ginger and marmelade. I like it when fruit cakes have a very intense taste. When its time has come around Christmas day I cut thick slices of the heavy cake and spread on some butter. I will sit next to our Christmas tree with a cup of tea or mulled wine and just enjoy every buttered, fruity bite! Traditionally this cake gets some fancy decoration with marzipan and fondant but I leave it naked. I love its rustic look. You can also put some icing sugar on top if you feel like. But you should give it at least 3 weeks to sit so it is time to start now to be able to enjoy it on Christmas day. It is best to let the fruit soak overnight together with the sugar, zest and brandy. For this recipe you will need a 17,5cm/ 7″ round cake tin, baking parchment and brown paper. You can also work with parchment paper. Preheat the oven to 140°C/ 285°F and line your tin with double brown paper and a layer of baking parchment on the inside so that you have three layers, all to come straight up around 10cm / 4″ above the top of your cake tin. Cream the butter and marmalade till fluffy and add the eggs one at a time, still beating well. Mix the dry ingredients together (flour and spices). Now fold the dry ingredients alternately with the soaked fruit mixture into the butter mixture, roughly 1/3 of each – dry and fruit – mixture at a time. Mix carefully with a spoon. Scrape the cake mixture into your prepared tin, smooth the surface a bit and bake for 2 hours. Check with a skewer if it comes out clean it is done. Take your cake out of the oven but leave it still in its tin. Push your parchment paper construction down a bit and wrap the tin with the cake in aluminum foil immediately and let it cool. After a few hours you can remove it from its tin, rewrap it in paper and foil and store it in an airtight cake tin. Brush the cake with brandy once a week and look forward to your first bite! 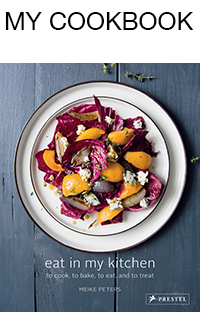 This recipe definitely looks like the ultimate recipe, I love it!